Newegg has the Yamaha RX-V675 7.2 Channel Network AV Receiver bundled with an Apple TV for $600 shipped. 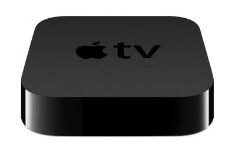 The addition of the Apple TV brings the effective price of this receiver down to $500, that’s $50 below the lowest price ever. Most retailers are charging full retail for this recently released unit. This AV receiver features 7-channel powerful surround sound with 105 W per channel, on-screen display for easy setup and content information, internet and AirPlay streaming. You’re going to need this WiFi or Bluetooth adapter to take your streaming wireless.